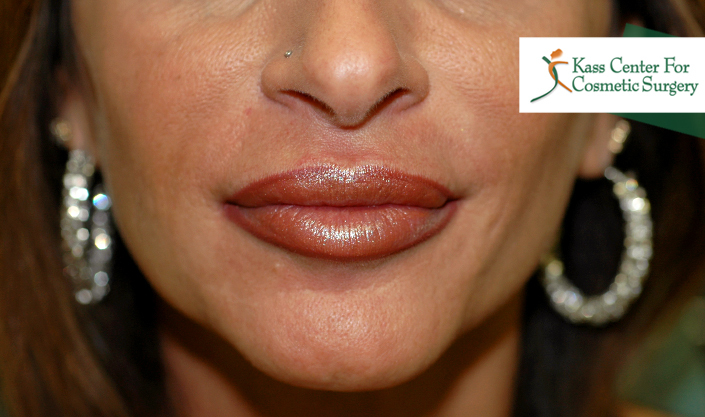 This 30-year-old woman requested lip augmentation. 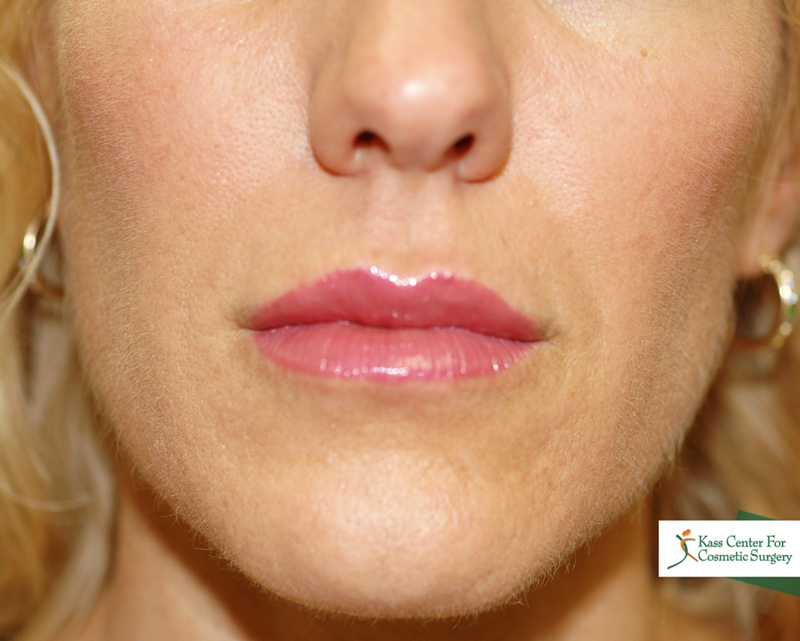 Dr. Kass placed the Perma Facial Implant in each lip as a minor office procedure. The improvement was almost immediate, and the results were perfect. 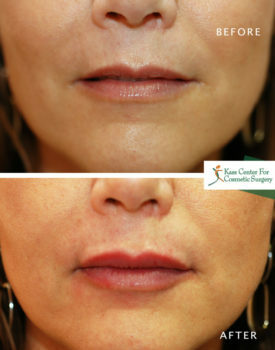 Within a week, she had achieved a fuller, sensual, natural appearing lip augmentation. The patient was thrilled. She says that her boyfriend is very happy with them and is unable to feel them even when he kisses her. Best of all? The improvement is permanent! 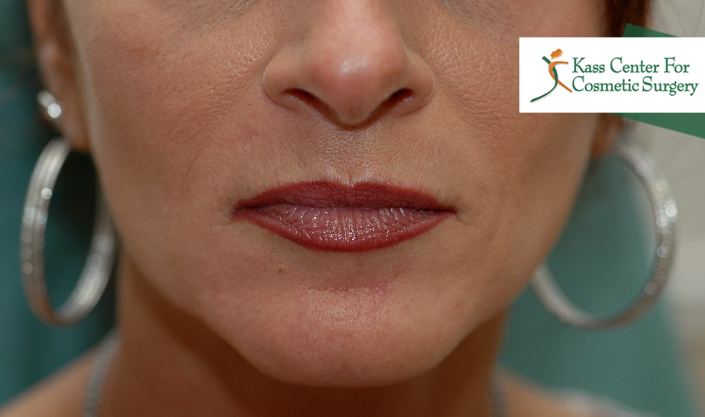 This 40-year-old woman presented initially to me for Botox injections to her forehead and to her Crow’s feet. During these treatments, she confided to me that she “hated” the thinness of her lips. 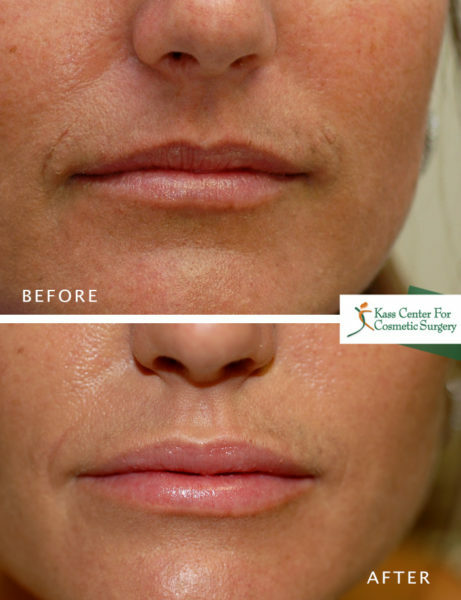 After hearing of the benefits of Silikon 1000, which is perhaps the ideal facial filler, she elected to proceed with this procedure. 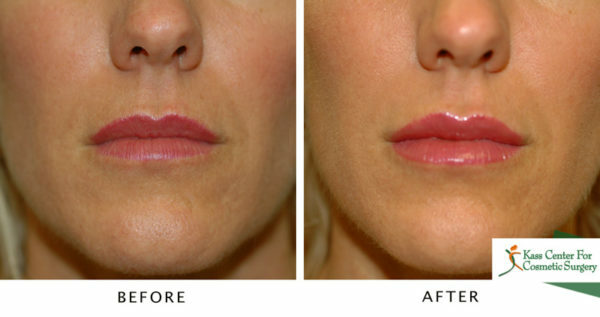 She was drawn to Silikon 1000 by the fact that the results were permanent! After three treatments, the patient proclaimed she was astonished at her results and how natural she looked and felt. 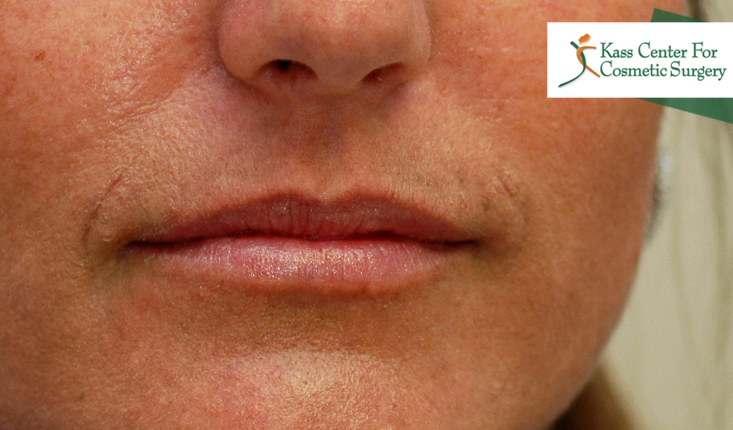 This highly satisfied patient continues to come for Botox injections and for Latisse. Every single time she comes in she proclaims loudly that she absolutely “loves” her lips and gets frequent compliments about them. She confides that she doesn’t tell anyone what she did to make her lips so beautiful as it is no one’s business but her own. 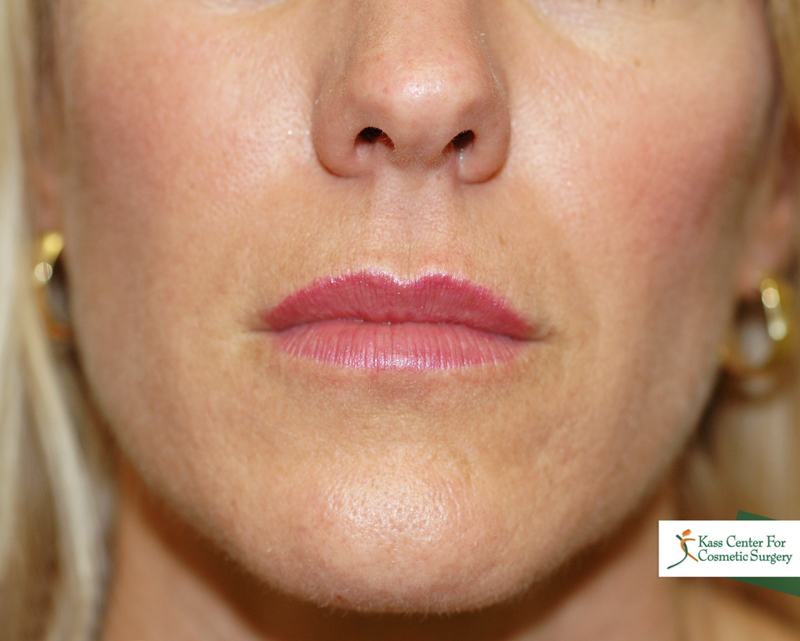 This 46-year-old woman was unhappy with the eyelid surgery, browlift, and chin implant performed by another physician. 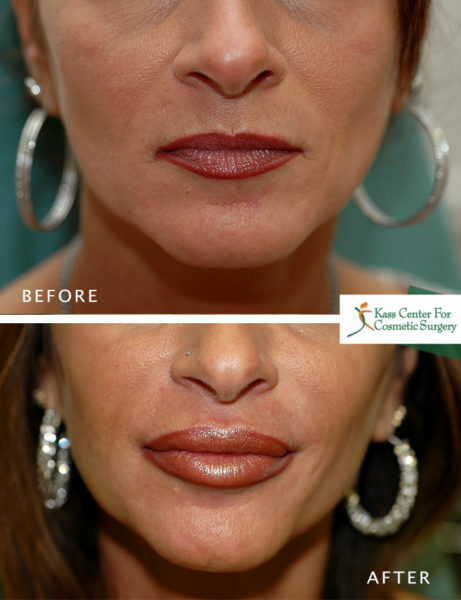 The patient was thrilled with the Revision Dr. Kass performed for her and now returns yearly for lip augmentation with Restylane.